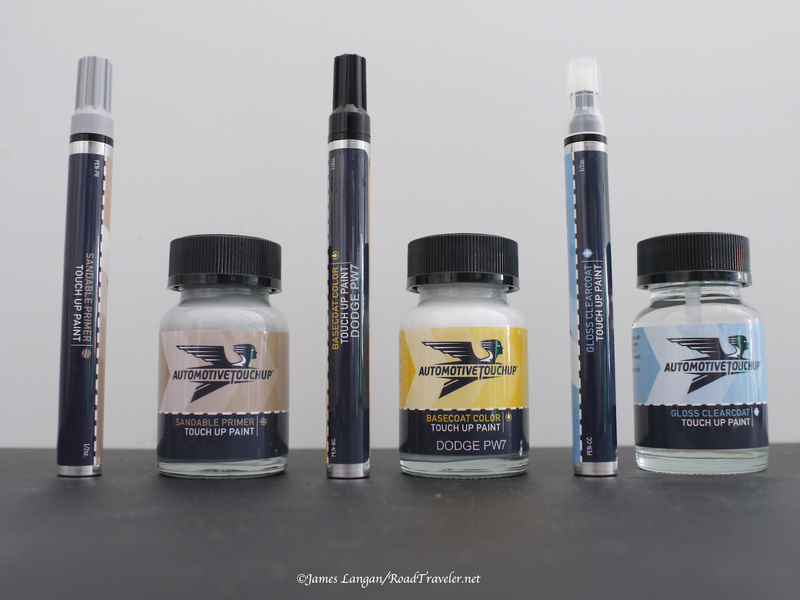 Brush-In-Bottle ATU products complement the pens. My paint maintenance and detailing routine is nothing special. I simply wash my vehicles with carwash soap, and occasionally apply Klasse All-In-One polish, an acrylic polish and protectant. But paint still gets chipped and needs touching-up. For several years I’ve been using a simple AutomotiveTouchup pen (ATU) to dab and fill paint chips. My off-highway miles might add more rocker-panel chips than average, but possibly the worst chips come from highway driving, particularly during winter when the DOT sprinkles gravel on the roadway. ATU has a long history of mixing its own proprietary formulas for body shops and collision centers, and they have become the nation’s leading provider of specialty automotive aerosol spray-paint cans, touch-up bottles, pens and more. Angle-cut bristles help fill chips that are too small for the pens. 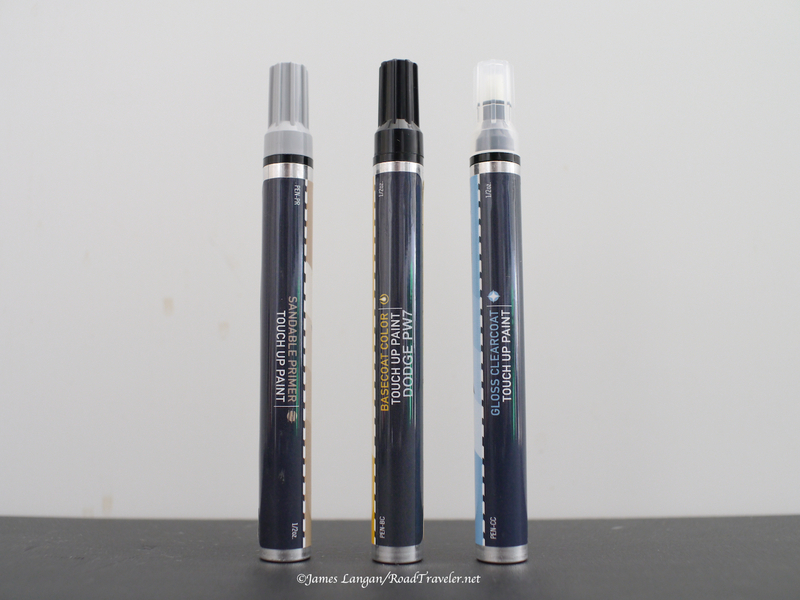 AutomotiveTouchup’s Paint Pens have worked well for me, yet there have been times when the felt tip of the pen was too broad and blunt to dab and fill tiny chips without covering a larger area than desired. Ordering a new pen and ATU’s Brush-In-Bottle touch-up paint was the solution. The soft, angle-cut bristles attached to the cap allow filling small holes or brushing over larger areas if needed. Felt tip AutomotiveTouchup pens are all I had used in the past. In addition to the PW7 Ram bright white paint code, I also ordered clear coat and primer Brush-In-Bottle and Paint Pens. I’m not sure how often I’ll use the primer, but applying clearcoat over the filled paint chips is surely a good idea. Quality paint jobs are expensive, so keeping the factory finish as nice as possible is my preferred approach.